A few days ago Microsoft said it wanted to hear Android users’ malware stories. In exchange for the best ones, Microsoft promised a brand spankin’ new Windows Phone 7 handset. Today Bill Cox, Microsoft’s senior Director of Windows Phone communications, has reported that they received over 3,200 responses. It is not clear if there were actually 3,200 legitimate stories or if fabricators that just wanted a shot at a free phone bumped this number up a little bit. It is not unreasonable to think that 3,200 people could of responded to this request, especially considering that recently Lookout Mobile Security estimated that Android users have a 4% chance of encountering mobile malware. While ‘Microsoft’ and ‘malware-free’ aren’t usually synonymous, hopefully Microsoft can put its money where its mouth is and keep Windows Phone a bit cleaner than its competitor. if i knew i would've made up a story to get a free Windows Phone...just sayin'. Its sad that they have to stoop this low to try and gain some market share. A free windows phone is not worth it!! There is no market share for MS to grab. if i remember corectly only 20% of the phones are smartphones. so MS still has the option to get 80% of the market share. I'm looking forward to what Nokia can do.......not microsoft. Totally agree with you, @Rayzin. Agreed, but they're bringing some fresh new styling and I believe any market needs diversity to grow. i have worked for Tmobile for almost a year and i have never seen a virus on anyone's phone. Nor have any of my co-workers ever had to deal with a virus. This " android is full of viruses" is such a low move by microsoft. 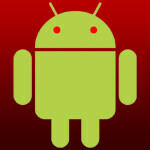 "This " android is full of viruses" is such a low move by microsoft." Which is why only 3,200 phones were given away. They were the dolts who didn't know that viruses aren't really a problem on Android. They don't know the difference between viruses and malware. This was Microsoft asking them to submit their malware stories, not virus stories. Good job not reading and calling other people dolts, though. Those kinds of presumptions suit you well. I agree, I've had an android since the g1 and many many more after, even rooted a few. and never encountered a virus, plus i too work for the cellphone company's. and also haven't seen anything suspicious related to. viruses! That's why I prefer my Blackberry Torch over Android. BB has it's issues as all OS's do, but they aren't known for having malware problems. Gemini, that is such a stupid thing to say. People hear "free" and they will do what they want. It obviously doesn't matter what phone they currently have. ^+10 Extra points for that one! Hi. I bought a leash for you. I hope you're potty trained.